Meet Ava Wright! She’s one of our 2017 Grin Kids. 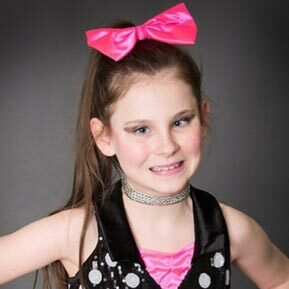 Ava is 9 years old and she’s living with Unilateral Closed lip Schizencephaly, Septo Optic Dysplasia, visual impairment, and Left-side Hemiparesis. She loves to dance with her friends, play in the pool, play with her dolls, and just enjoys life! When Ava grows up she wants to be President and pass out hugs and smiles to everyone. We are SO excited to bring Ava on the 2017 Grin Kids Trip to Disney World! Say hello to Ava in the comments below! If you’d like to help make Ava’s dreams come true, click the link below!